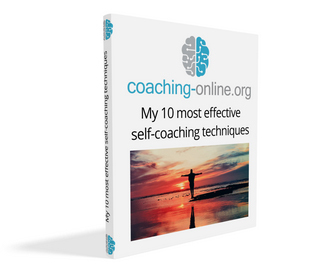 This is the most comprehensive guide to life coaching online. 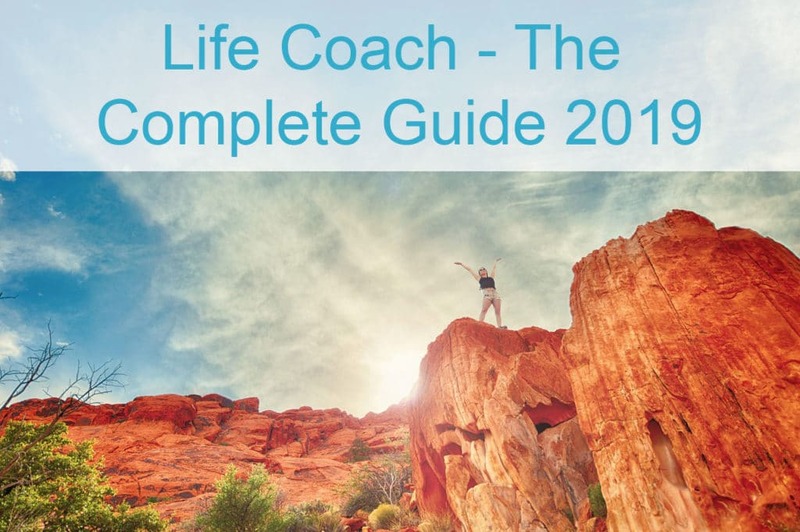 My “Life Coach – The Complete Guide 2019” answers all your questions. I’ll even show you how to get free life coaching with a professional and how to become a life coach. 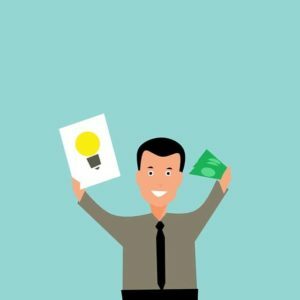 Life Coach Salary – What Does a Life Coach Cost? How Much Money Can You Make as a Life Coach? A life coach is a professionally qualified person who helps you to reach your desired goals or guides you through personal challenges. A life coach should be a sparring partner at your side with whom you can look at your actual situation and challenges. Ideally, a life coach sees herself as a service provider for you. She recognize you as the authority in the coaching process. Usually, you know best what is helpful and what is not. The most important skill of a life coach is asking the right questions. With the right questions, a life coach can give you new perspectives on your situation. This can be especially tricky to do on your own when you feel stuck! A life coach also encourages you and gives you a realistic view of your abilities and strengths. Most often, people focus too much on their weaknesses. Usually, a life coach does not provide you with any advice on how you “should” fix a problem or how to cope with a challenge. She will rarely give advice based on her own personal experiences. This makes a difference to a career coach for example. Rather she should guide you to find your own individual solution. The human body and brain are unbelievably strong. They can stand more physical and mental pain than you would expect. So you have this naturally given strength and there will always be a way and solution without external help of a life coach. However, often we are trapped in our own behavioral pattern and unconscious processes that are running us on autopilot. To unveil these, a life coach can be invaluable. A good life coach will bring you much quicker, and with less suffering towards your desired goal. For learning an instrument, a language or your favorite kind of sport. If it’s an instructor at your gym or a mentor at your workplace. So why not consider hiring a teacher that shows you how your brain works? Deeper insights into your own patterns are mostly the tip of the iceberg to resolve your knot. A good life coach should guide you a step closer to yourself. A deeper understanding of yourself is invaluable for living a more fulfilled life in the future. 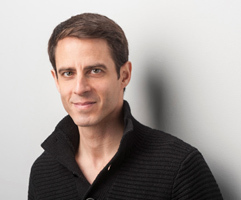 A life coach can also provide you with useful techniques, strategies, and exercises to support you in coping with your individual challenges. You should immediately have a good feeling with the person. Only when the chemistry fits between you and the life coach, she can be an effective guide at your side. Studies have show that the alliance between you and the coach is the most important factor for an successful coaching process. I would highly recommend that you ask your potential candidates some simple, but important questions. Here are the right questions to ask. A good life coach should have a profound education, qualification and experience. This assures that the life coach works professionaly and follows a goal orientated structure. There are so many certificates for coaches, so it can be hard to evaluate the right one. Therefore I wrote a detailed separate section about “Certification and Qualification” which follows later in this article. Every life coach brings in her unique personal style. Many have a very empathic and gentle attitude, although some are more distant and challeng you with provocative questions. Think about which style resonates best with you. In the coaching and therapy world, there are different approaches to help you reach your desired goal. If you want to dig deeper into the different types of coaching and therapy, here you find a complete list. After checking the background of different candidates, you should have a pretalk with 2 or 3 candidates of your choice. Only the direct interaction will show you how the chemistry between both of you will be. Ask actively about a Pretalk and schedule one. Every serious life coach should have around 30 minutes time for you. 39 Questions to ask your potential candidates in a pretalk. Saves you 3 days of preparation and a lot of nerves. Find your perfect fit instantly! Coaching without a proper results assessment can be a waste of time and money! Your goal is to reach certain targets, so it should be part of a professional coaching process to measure the results. Your potential candidate should explain in detail, how he measures your results. A successful coaching process will lead you closer to your inner self. Through better self-understanding, you will find your purpose in life much easier. You will understand yourself and your different inner drivers more clearly. You will get more distance from your “usual” behavior patterns. As a result, you will gain way more self-control and freedom of choice over how you react to different external triggers. These days more and more clients decide to work with an online life coach. The possibility of getting online coaching independent from location and time from the best expert in the field, attracts a lot of clients. You will find a variety of different coaching approaches in the online life coach world. Web call via WhatsApp, Viber, etc. If you decide on using an online life coach, you will want to choose which coaching approach feels most comfortable for you. You can also negotiate with your coach a combination of the communication options above. For example, you can have a Skype video coaching session first and afterward 1 or 2 email consultations to have a quick check-in and review of your results. If you are ready, then for the next steps you can schedule the next video coaching session. Most online life coaches are pretty flexible. The following table shows you the advantages and disadvantages of online and offline life coaching. My teacher is a doctor in medicine and teaches therapists and coaches. Coaching is for healthy people and therapy is for sick people. This is the easiest and most understandable breakdown I have ever heard of this complex question. As soon as there is a medical diagnosis, you should see a therapist or psychiatrist. One of the essential skills of a life coach is to know her limits and to hand over a client to a therapist, if necessary. However, in daily practice, there is a fluent transition between coaching and therapy. Depending on the skills and education of a coach, a coaching session can be very similar to a therapy session. In all honesty, there are excellent and bad therapists as well as excellent and bad coaches. I personally know a lot of cases, where clients had a breakthrough with a life coach after doing a lot of therapy. And I’m sure there are also a lot of cases the other way around. 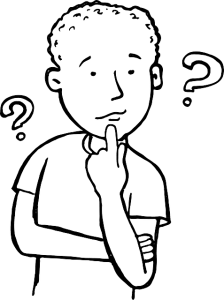 You are curious what type of questions a life coach will ask you? Here are some questions you will probably hear. What is your actual challenge? What are your goals for the whole coaching process? What would be the best outcome we could reach? If tomorrow night a miracle were to happen and your problem was gone, what would be the consequences of it? What are the positive consequences of your challenge? How looks your inner dialog in your actual challenge? Have you had similar situations in your life before? How did you deal with them in the past? Are there times where it was easier to deal with your challenge and times where it was harder? What did you do differently in these scenarios? Do you have the feeling that, we are on the right track toward our goal? Is there something I/we can improve in the next session to be more effective? How does our communication feel for you? Unfortunately, there are no special requirements to call yourself a life coach. So anyone can do it. 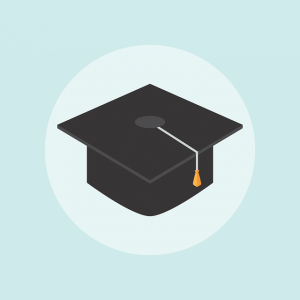 Many organizations and associations offer education and accreditation for life coaches. 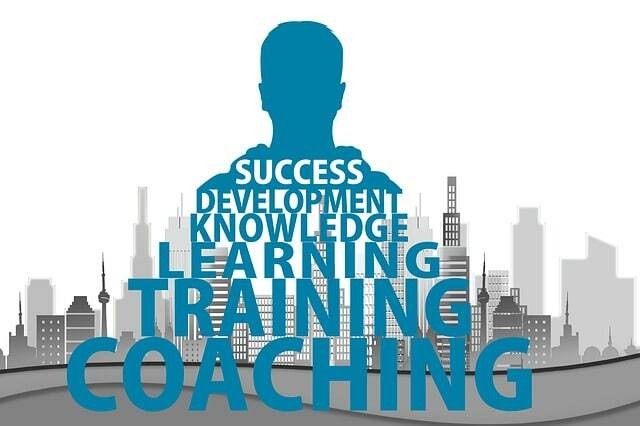 ICF – International Coaching Federation, Largest Organization of professionally trained coaches. Globally active. Around 30.000 Members. Have you ever thought about helping others, who are suffering from the same problems you have gone through? 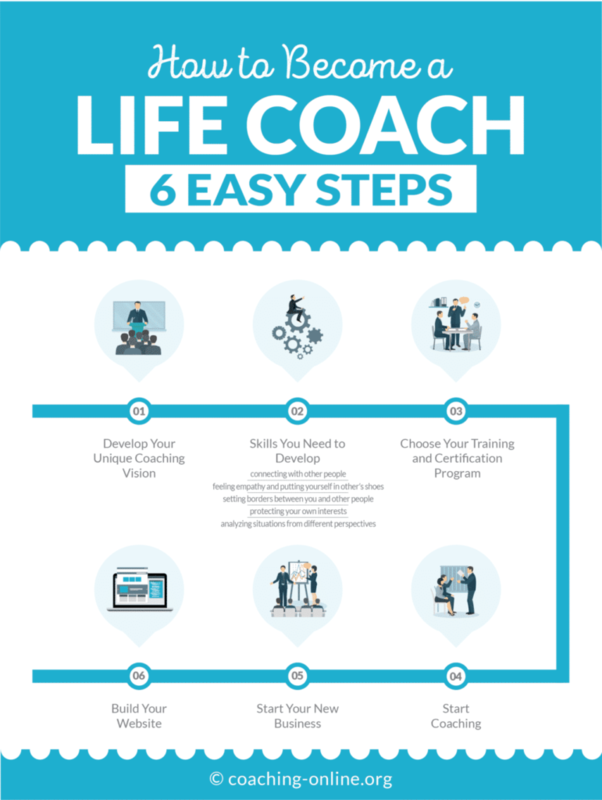 If you are wondering how to become a life coach, take these six easy steps to start. Think about the skills you already developed in your personal- and work-life. Reflect on your personal passions. What is it, what makes you happy working with people? In which niche have your past experiences been? This can be an indicator of where to build your unique coaching vision. If you don’t have them already, you should put hard work in, to develop them. If you are not sure if the life coach profession is the right choice for you, you can book a coaching session with me to find more clarity. There are a lot of educational organizations on the market to become a life coach. And there are online and offline training to choose from. Do your own research through the web and look at all of the courses carefully. Check to see if there are some interesting training programs available near you. A good training program will schedule a lot of self-practice training sessions, in which the participants will coach each other. I recommend extending these efforts with a private learning group. For sure, other participants in your program will be happy to join. A supportive self-coaching group will boost your coaching practice. Additionally, you can ask friends and family and offer them free coaching sessions. The more experience you are able to develop the better. After getting your certificate, you can start with your new business. Parallel to your education you should start building your website. Engage yourself early in finding the right messages and content for your website. Present yourself and your unique coaching vision in a professional way. Setup in the right way, your website can be a powerful tool to get new clients and will expand your reach. $75 to $500 USD per coaching hour. According to the ICF global coaching study, the average fee for a 1-hour coaching session is around $230 USD. 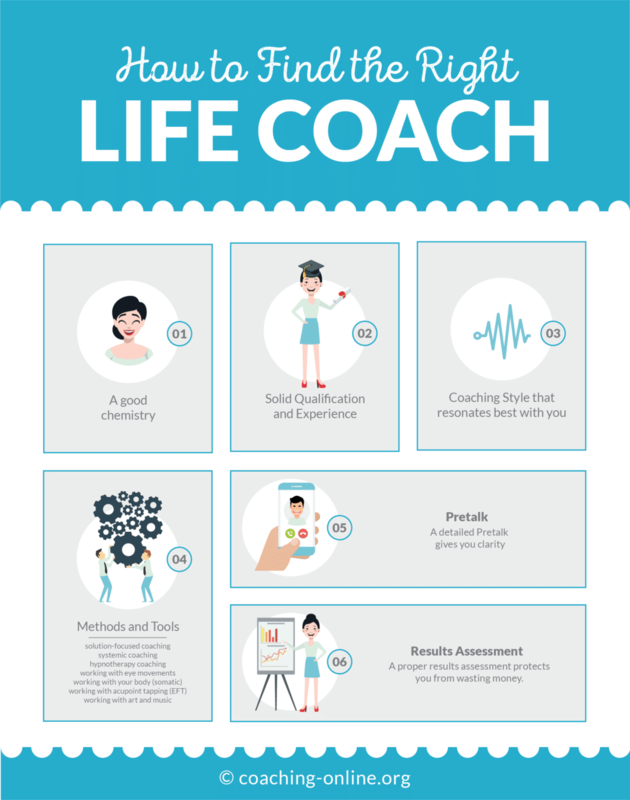 Besides the hourly rate, the most important factor for the total cost of a coaching process is highly dependent on the effectiveness and the method of the life coach. If a coach and her methods are super-effective, your issue can be solved in 1 to 3 sessions. If not, it can take you 5 to 10 sessions or even longer. In total, a coach with an hourly rate of $300 USD can be cheaper for you than a coach with a rate of $100 USD per hour. This is one of the questions you should ask about in your pretalk with your potential candidate. Ask openly about the estimated number of sessions. The ICF global coaching study assessed more than 15,000 professional coaches throughout the whole world. According to the results, life coach salary span lies between $27,000 and $210,000 USD per year. With an online approach to life coaching and a well thought out business strategy, containing digital products, you will be able to scale your life coach salary. curriculums, it will take you approximately two years to become a life coach. Once you finish your education, you can start charging for coaching. The more experience you gain, the better you will be as a life coach, so realistically you should look at a timeframe of 5 years to reach a professional state. However, if you are serious about becoming a life coach who makes a difference in other people’s lives, you should commit to a lifelong learning process. Your personal timeframe to become a good life coach is also dependent on your personal abilities and your former work life experiences. While my coaching education was extremely helpful for me, especially watching and listening to other coaches. I also realized that we all are facing similar challenges in life. Out of this experience there grew a vision. 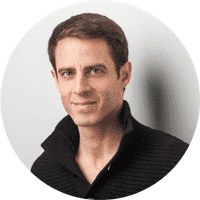 I will provide free sound recordings of coaching sessions on this website, to reach a bigger audience and help tens of thousands of people. If you can imagine supporting me with this idea, please sign up here for a free coaching session. Don’t worry, we can use a fake name, so that you stay anonymous. If you are searching for an “offline” life coach, there are different directories, where you can find a local life coach near you. These resources should give you a good overview of, which life coaches are available around your city or state. I suggest having pretalks with at least 3 candidates of your choice. I see myself as a service provider for my clients. You as my client always have the highest authority in the coaching process. Only you know best, what is helpful for you and what is not. My role is to offer you different perspectives on your situation. I like the comparison with a waiter. Additionally, I guide you professionally through an inner exploration. Together, we go on a journey through your unconscious processes. We explore powerful possibilities to change these, according to your goals. Here you find more about me. According to dictonary.com life coach is the correct way to write it.